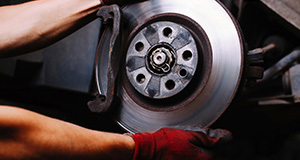 Bring your vehicle to our Leesburg Volkswagen Service Department for speedy, professional and affordable brake service. Check out our service specials for more ways to save! 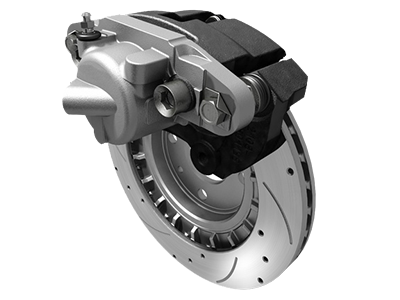 Your brakes ensure your vehicle is able to stop in a safe and timely manner. Proper brake maintenance and replacing your brake pads and rotors when necessary helps prevent accidents from happening, and you'll also avoid that terrible metal grinding noise that occurs when brakes are truly worn down. No matter how your drive your Volkswagen, how fast you stop is arguably the most important safety feature. You depend on your brake system to be 100% reliable and that’s why brakes are typically a top priority for maintenance services. To help ensure that you have peace of mind on the road, be sure to bring your Volkswagen to your local VW dealership service department. No one knows your Volkswagen’s advanced anti-lock braking system better than the factory-trained technicians at your VW service department. While getting your vehicle serviced at our dealership, be sure to ask about our multi-point inspection where we will look at your brakes and fluids. If you think all brakes are the same, then think again. Genuine Volkswagen brakes are specifically engineered to fit your Volkswagen model. They’re engineered based on your vehicle’s size, weight, and handling. When going with aftermarket parts, you run the risk of your brakes not being the perfect fit for your vehicle. With genuine OEM Volkswagen brakes, you can drive with confidence. Our brakes retain friction in extreme temperatures, especially in so-called hot spots, down to -58 degrees Fahrenheit. They can withstand salt, brake fluid, and much more without compromising power. Volkswagen brakes are smooth, do not produce smoke or unpleasant smells and offer a precise fit, saving you time and money in the long run. Don’t stop with replacing your brakes alone. When you take your Volkswagen to our dealership service center, we will also check your brake fluid. When the water content in brake fluid reaches dangerous levels, it can affect the ability of your brake system to transfer hydraulic pressure and can lead to unresponsive brakes. We only use genuine Volkswagen brake fluid which complies with Volkswagen standards and helps optimize function of your brake system. Our brake fluid can be used in all Volkswagen vehicles, both new and older models, and can also be used for topping off your brake system. Visit Leesburg Volkswagen to get your brake system and fluids checked. Our professional and factory-trained technicians will get the job done right the first time around and give you confidence on the road. Don’t procrastinate, schedule a multi-point inspection and get your brakes checked today. You can count on our service department to keep your vehicle in top condition.